Reginald Brothers, an executive vice president and chief technology officer of Peraton, said during a Government Matters interview aired Thursday that the pace of technology suggests that the Department of Defense needs more research-and-development funding in order to remain competitive. “The challenge now is how fast technology is changing. As such, we have to keep up with the pace of technology. Not only that, we have to keep up with how we defend this technology,” Brothers told Government Matters host Francis Rose. “It’s not just to develop our own capabilities, we have to understand how to counter these technologies when you don’t have the same historical numbers you’ve had in the past. That becomes problematic,” he added. He talked about artificial intelligence and the need for DoD and other federal agencies to focus on security and human-systems integration when it comes to AI. 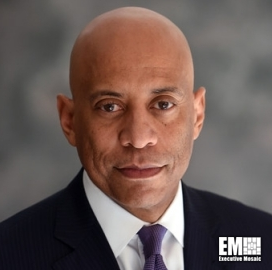 Brothers, former undersecretary for science and technology at the Department of Homeland Security, cited transparency, security and trust as some of AI-related challenges and mentioned the importance of having the right data used to teach AI-based systems with. He also shared his thoughts on President Donald Trump’s recent State of the Union address. “The president talked directly about the importance of science. I think that’s encouraging because that is what we really have to get through … pushing science and technology to keep our competitive advantage,” he added.